For years I’ve been using a Visual Sound 1 SPOT to power my pedals and in a perfect environment it works like a charm. However, I’ve found that when I use someone else’s amp or plug into an surge protector that’s daisy chained to another surge protector that’s plugged into an outlet that’s not grounded, I get a buzz going to the amp. At first I thought one of my pedals went bad so I tested each one. Of course when I first tested each one I was at home with a good power supply and my own equipment so that didn’t really help. Fortunately or unfortunately, I narrowed it down to the 1 SPOT. I was fortunate enough not to blow a pedal or throw away a perfect set of pedals. Unfortunately, this meant that I was causing some strain on my set and should properly power them up. One of my guitar buddies has been very happy with his VooDoo Lab Pedal Power AC. I was thinking of sticking to the PedalTrain brand since my board was a PedalTrain but I found a good deal on the VooDoo Lab Pedal Power 2 Plus. I’m glad I did. It’s quiet. So quiet that I felt like my pedals were not my pedals. The Pedal Power 2 Plus features 8 isolated outputs, toroidal transformer, no ground loops or hum, and all the power cables I need. The isolated outputs is what sold it to me. With the 1 SPOT, I bought the 8 line extension that daisy chains the power. With the isolated outputs, I don’t have to worry about reconnecting the power to make it all fit when I switch things around. Did I mention the 5 year warranty? 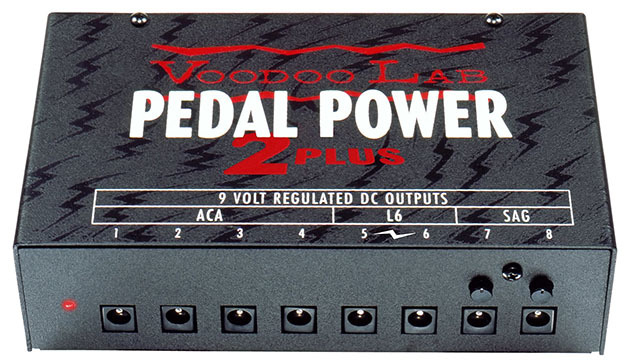 Anyways, if you’re shopping for power for your pedals, I highly recommend the VooDoo Lab Pedal Power 2 Plus. Next articleMy first foul ball!!! Dude when is this site gonna do a review of something like a drum machine or a beat maker ..